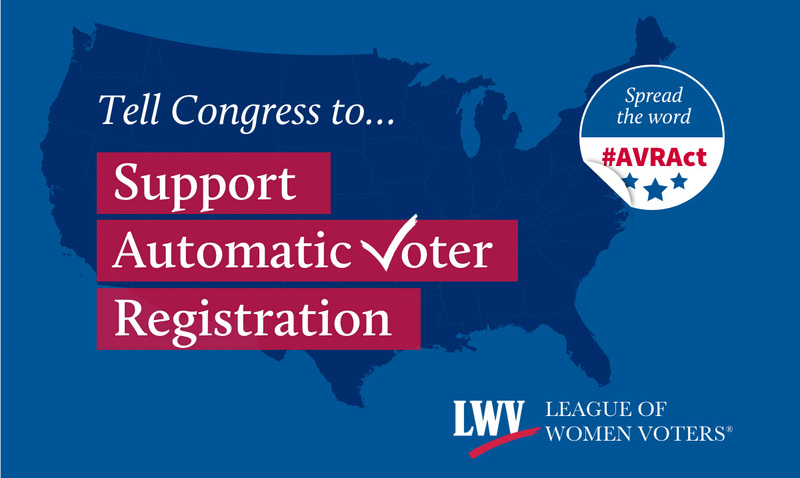 League of Women Voters Urge Congress to Support the Automatic Voter Registration Act! Urge Congress to Support the Automatic Voter Registration Act! Senator Patrick Leahy (D-VT) and Representative Robert Brady (D-PA) introduced the Automatic Voter Registration Act of 2017 on June 14, 2017. The League is proud to support legislation that enhances access for eligible voters in our elections and works to modernize our electoral system. This bill will improve the accuracy of voter records, cut down on costs, modernize outdated registration systems while supporting implementation in states across the country. The League is a leader in voter registration efforts across the country. Expanding voter registration has been a principal goal of the League since its founding in the wake of the passage in 1920 of the 19th Amendment, which gave women the right to vote. We are proud to see Congress embracing new technology that expands access to the ballot while still taking the necessary safeguards to secure personal information. The League fully supports this bill and urges all members of the U.S. Senate and House of Representatives to support this important legislation.